There is a lot to like about the new Lenovo A60. 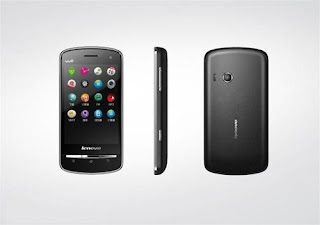 The Lenovo A60 is a entry Android powered phone running. But is as good as a budget phone can get. First, A60 costs Php7,700. At that price you would not expect too much. But that is not the case with the A60. It could have been priced 50% more and it would still have been considered reasonably priced. The A60 runs Android 2.3.3 Gingerbread making it a current phone and up to date phone. It is not a 2010 model or early 2011 being flogged on the Philippine market. You wont be seeing newer Android 4.0 Ice Cream Sandwich phones for two or three months yet, and you wont be seeing them at the A60's price point for a very long time. Third it is a dual SIM phone. Yup, it supports to SIM cards. It is the first phone from a "major" manufacturer that supports dual SIM cards. We have to qualify this with the fact that Lenvo is new in the mobile phone business, bit still it is unlikely they would intentionally allow their name to be placed on a poor quality product. The phone only comes with a 3.2MP primary camera and a VGA secondary camera, but at this price range you really do not expect anything better. On the processing side, it comes with a 650MHz MT6573 processor, 256MB of RAM and 512MB of ROM with a MicroSD card slow and a 2GB MicroSD card provided. Nothing great, but again on par with other phones in the price range, except for the amount of RAM. These days we would like to see a bit more RAM. Going past that it does have HSDPA connectivity, WiFi, GPS, a gravity sensor, proximity sensor, light sensor and FM radio. Inside is a big 1500 mAh battery. So, we are all waiting for the catch. Well, if anything it is that we have never used a phone with the MT6573 processor, but it does seem to be a current enough platform and it does have a graphics processing unit. The other drawback is Lenovo is new in mobile phones. Maybe there is no catch. But look at is this way, at Php7,700 the phone matches the specifications of its competitors, and it is like Lenovo threw in the larger screen and dual SIM capability for free. So if we were going to take a chance on a unknown quantity, this would be a very good bet.